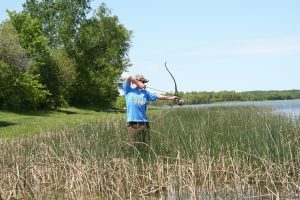 Bowfishing equipment has evolved a lot since I started trying it out 40 years ago. There is some high-tech stuff out there, believe me. This probably sounds crazy, but my favorite bowfishing set-up features a Ben Pearson recurve that I got out of the “Free” box at a garage sale. No kidding. My 45-pound recurve has been the perfect bow for me. Compound bows work too, but because of the let-off, they have to be drawn all the way back to shoot. This is a disadvantage because shots are often quick and with little warning. 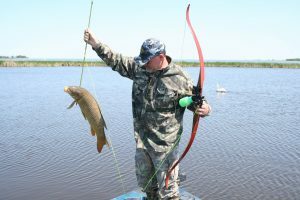 The advantage of a recurve, or one of the wheel-bows made for bowfishing without a let-off, is that you can draw and shoot much more quickly. Sometimes you do not have time to come to full draw. Many species of fish are legal to shoot with a bow. 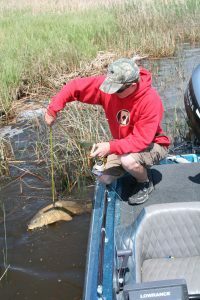 Carp, bowfin (also called dogfish), gar, buffalo and drum are among the most common. You can have some success all year long, if you find yourself in the right place and the right time. But if you want consistent action, it takes place in the spring and early summer. 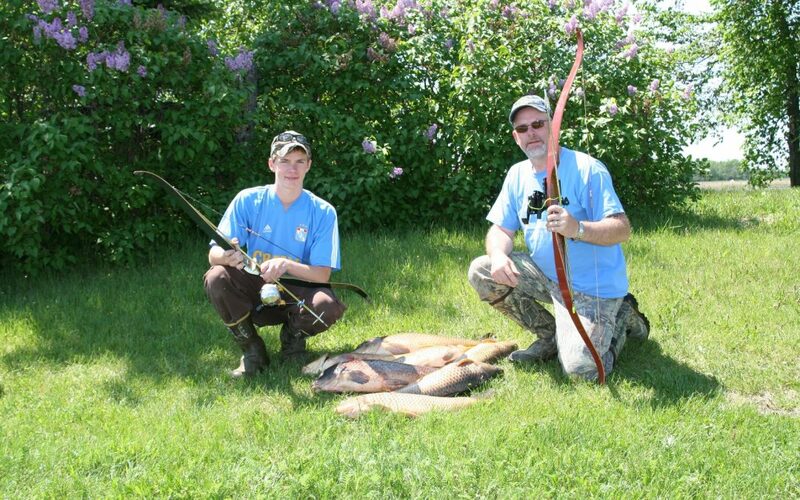 Carp shooting is so much fun that it has become a sport in itself for our family. Give it a try, and see if you don’t get hooked like we did!